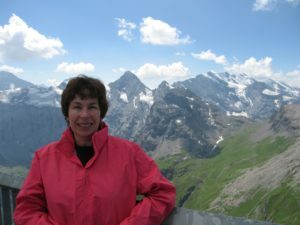 Lori A. Clarke is an emerita professor in the College of Information and Computer Sciences, University of Massachusetts Amherst, having retired in 2015 after serving on the faculty for forty years and as chair from 2011-2015. 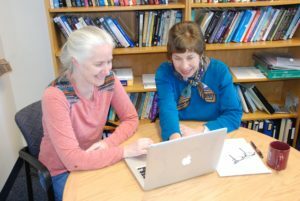 She is a Fellow of the ACM and IEEE, and a board member of the Computing Research Association’s Committee on the Status of Women in Computing Research (CRA-W). She is a former vice chair of the Computing Research Association (CRA), IEEE Publication Board member, associate editor of ACM TOPLAS and IEEE TSE, member of the CCR NSF advisory board, and ACM SIGSOFT chair. Awards include the 2012 SIGSOFT Outstanding Research Award, 2011 University of Massachusetts Outstanding Accomplishments in Research and Creative Activity Award, 2009 College of Natural Sciences and Mathematics Outstanding Faculty Service Award, 2004 University of Colorado, Boulder Distinguished Engineering Alumni Award and 2002 SIGSOFT Distinguished Service Award. In addition to her research accomplishments, Lori has a long history of working to increase the diversity of those participating in computing. She is an active board member of CRA-W, previously serving as co-chair and now serving as co-director of Grad Cohort, an annual two-day mentoring workshop for women graduate students. She was instrumental in helping the Coalition to Diversify Computing (CDC) and CRA-W develop coordinated programs. 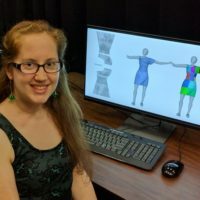 Within her college, she has fostered an active Women in Computer Science group. Lori has been involved in a number of mentoring programs and advised and mentored an impressive set of graduate students. Q: You recently retired after 40 years on the computer scienc faculty at UMass. What did you enjoy most about your career? What are your plans going forward? Being a professor is the best job in the world! Doing research and teaching at the university level means that you are being paid to engage in life-long learning about topics that intrigue you the most. In addition to the intellectual challenges, being a professor provides opportunities to work closely with students. Helping students learn about research and develop the skills to further their own careers is one of the most rewarding aspects of being a faculty member. nother bonus is the independence of setting your own research direction and schedule. In many ways, being a research faculty member is like running your own research enterprise. Your efforts determine how successful you are and how large an enterprise you oversee, but at the same time, your faculty position provides a safety net in case your research ambitions temporarily exceed your financial support. Don’t think I am being overly Pollyannaish; there are downsides to being a faculty member. It is very demanding and requires great dedication. And I don’t think anyone enjoys having to create and grade exam questions. In retirement, I have defined a path forward where I get to continue doing those parts of my career that I enjoy the most (i.e., doing research and working with students), while jettisoning those that I don’t relish. I am presently working with my colleagues on developing technology for modeling and analyzing human-intensive processes. We are currently engaged in a project where we are further developing the technology and evaluating it as applied to cardiac surgery. Although we believe this approach has broad applicability, it will be very exciting to see how it applies to this challenging, life-critical domain. Q: Tell us about your decision to enter computer science and your career path. I loved computing from the moment I wrote my first (machine code) program. I was a (not very good) mathematics undergrad and I loved getting concrete answers, instead of wondering if my proof had flaws. Perhaps that is why later in graduate school, I was interested in techniques that would automatically help determine definitely what we knew (and didn’t know) about a particular program. My career path was purely serendipitous. I decided to try academia because I was advised that it is easier to move from an academic job to an industrial job than vice-versa; I was trying to keep my options open until I knew what I wanted to do. I started my faculty position wondering if I was going to actually like it. Luckily for me, I soon discovered that I really loved being a faculty member. Q: Explain a bit about your most recent research activities. How has your research evolved over time? I was one of the early developers of symbolic execution, a technique that provided a foundation for software verification, testing, and program analysis. At the time, computing power was too limited to make these approaches widely applicable, but concepts from this work are now found in commercial test data generation and static analysis tools as well as in many research prototypes. Frustrations with developing and maintaining a symbolic execution system led to my interest in software development environments. I was one of the principal investigators in the multi-institutional Arcadia Project, which made several contributions that are now mainstays of IDEs. Ever since I was a graduate student, I was intrigued with the information that could be derived from programs using data flow analysis techniques. FLAVERS, developed with my graduate student Matt Dwyer, was one of the first model-checking systems to work directly on distributed programs. It automatically creates a concise but imprecise model and uses compositional data-flow analysis to allow precision to be added incrementally. Recognizing that specifying the properties for verification is itself an error-prone exercise, my graduate student Rachel Cobleigh, my colleague, George Avrunin, and I developed the PROPEL property elucidation system. PROPEL explicitly represents the various options associated with the most common property patterns and allows specifiers to view these as templates in a number of possible representations, including as finite-state automata and as English text. My current research is primarily focused on improving medical safety and builds on these past contributions. Working with Leon Osterweil, George Avrunin, and a number of grad students and medical professionals, our medical safety team has been modeling life-critical healthcare processes and using static analysis and property specification techniques to find defects and vulnerabilities in these processes. Our most current work is exploring how these validated processes can be used to provide on-line, situational-aware guidance during error-prone, critical procedures. In the long term, we hope that the detailed process execution histories will provide important feedback about the effectiveness of different process alternatives. I believe this is going to be a major future research direction, combining software engineering and data analytics in new ways. Q: How have you been involved in CRA-W? What has this involvement meant to you? One of the challenges early in my career was not having many role models or female colleagues. Although software engineering tended to have more women researchers than many other fields in computing, women were still a very small minority. 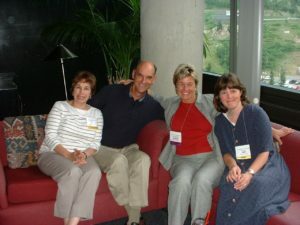 Researchers such as Barbara Ryder, Mary Lou Soffa, and Mary Jean Harrold were wonderful colleagues and friends. We were very motivated to help pave a path for more women to enter computing. 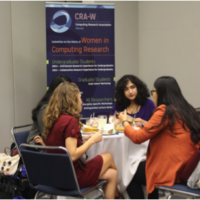 I was delighted to become involved in CRA-W because of the opportunities it provided to help women (and minorities) succeed in computing and, selfishly, for the opportunities it provided me to meet so many amazing women in computing outside of my primary research areas. Careers associated with computing have the possibility of positively impacting the lives of so many people, in addition to being intellectually and financially rewarding. I strongly believe that it is important to make sure that the doors are open to all individuals who have the interest and aptitude to pursue such careers. Q: How do you balance work and family life? What do you enjoy doing when you aren’t working? One of the benefits of having a family is that it places demands on your time to NOT work. To be a good parent or partner means that you must put aside your work and devote time and energy to your family, which is really a benefit to you as well as to your family. I cherish the time with my family. I enjoy playing tennis, skiing, hiking, and traveling, all activities that I continue to do with my family. My husband and I have a blended (I actually hate this word because it suggests an unrealistic level of homogeneity) family with 5 wonderful grown children and one adorable granddaughter. Q: Do you have any advice for women at any stage of their careers? Go for it! There are so many opportunities that can be pursued now. If there is something that really appeals to you then pursue it wholeheartedly. If it doesn’t turn out or you find that it is not what you expected or wanted, there are other avenues to be explored. This is true when you are first starting your career as well as when you are well established. We are so lucky that individuals with computational skills are in such wide demand now and are expected to remain so long into the future. This provides tremendous flexibility to take chances and pursue your dreams. Q: What challenges have you had to overcome as a woman? The most difficult challenge was dealing with societal expectations when I was a child. I was immediately drawn to mathematics and science, and at that period of time most people I interacted with considered this an abnormality that I would (and should) outgrow. Starting in junior high, I was “tracked’ into advanced course, but was one of only a few females in the mathematics and science courses. I am particularly appreciative of the support I received from my junior high and high school physics teachers who were both very supportive of my interests. To better understand the climate at this time, my first assigned physics lab partner in college complained to the instructor about being disadvantaged because he had to work with a female and asked to be (and was) reassigned another lab partner. Most importantly, I was very lucky that my father was a staunch feminist and fully supported and encouraged my interests. He died when I was in college, but I know he would have been delighted with my career choices.